MTS (or M2TS) is a file extention for the high definition digital video camera recorder format, i.e. 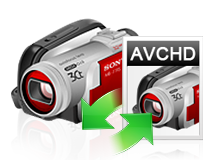 AVCHD (Advanced Video Codec High Definition) format. The AVCHD format was developed jointly by Sony & Panasonic and introduced in 2006, mainly used in their digital camcorders. You may want to transfer MTS files from your camcorder to your computer for editing, right? But there comes a problem. If you do it, you'll find almost all video editors can't support MTS format. Well, here we offer some solutions to import MTS to these apps successfully. You'll find it difficult to play MTS files on different devices. However, you can use some well-known media players or convert it to other commonly-used formats for playback. Read on to get more information. MTS is one of the formats that is hard to play or use widely. The list below shows all the applications, websites and devices that support this format.